Nine Thornapple Kellogg High School Business Professionals of America members placed fifth or higher in 11 events at the regional BPA contest earning them a trip to the state contest in March. TKHS senior Olivia Gaudreau is a two-time regional champion earning first place for the second year in legal office procedures. Other TKHS students earning top five regional honors are Dawson Hamming, first in database applications; Daisy Nowinsky, second in presentation management and fifth in human resource management; Enno Visser, second in fundamental accounting, Jack Cove, third in fundamental accounting; Gavin Denman, third in advanced spreadsheets; Holly Bashore, fourth in presentation management and fifth in business spelling; Claire Middleton, fourth in legal office procedures; and Sam Dickman, fifth in interview skills. TKHS was also represented at the regional event by students Isabelle Rakowski and Daniel Hannapel. TKHS senior Turner Halle currently serves as the vice president of communications on the BPA state executive council and the home page of the BPA Michigan website at https://www.michiganbpa.org/ features a prominent photo of TKHS students and a short biography of Halle as one of the state executive officers. The BPA Workplace Skills Assessment Program gives students an opportunity to demonstrate workplace skills. There are more than 50 events in various areas related to financial, administrative support, information technology, management, marketing, and human resources. 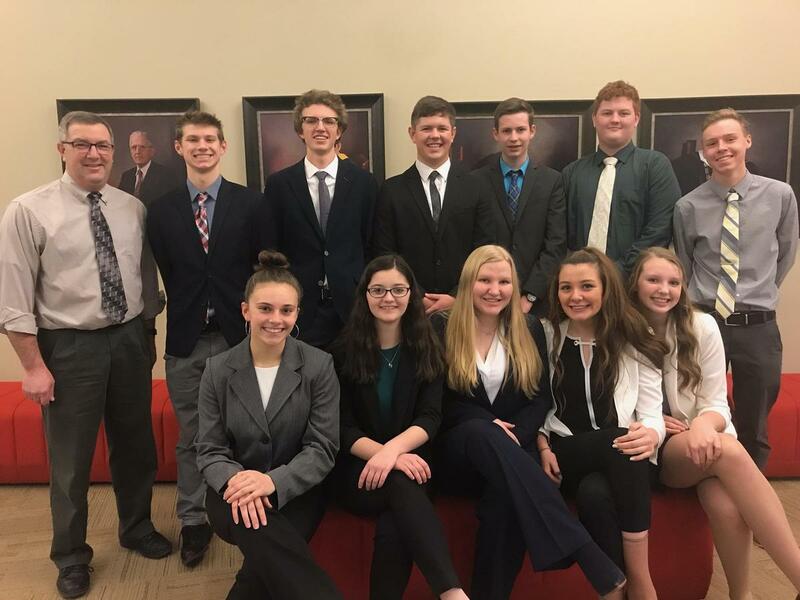 TKHS BPA advisor Keith Hamming said he is proud of all the of students who attended the regional leadership conference and competition and how they represented TKHS in a very positive manner.